Baby robins are helpless at birth but reach the size of their parents after just two weeks. Robins fly at 17 to 32 mph. Robin have about 2,900 feathers. Only the male robin sings the "true robin song," and he sings it to declare his personal nesting territory. It sounds like he's singing "cheer-up, cheerily, cheer-up, cheer-up, cheerily." Robins have an average life span of 1 year and 2 months, but many live about five or six years. As of February 2001, the longest-living banded wild robin ever recorded had survived 13 years and 11 months, according to the Bird Banding Laboratory at the Patuxent Wildlife Research Center. In captivity, robins have survived longer than 17 years. 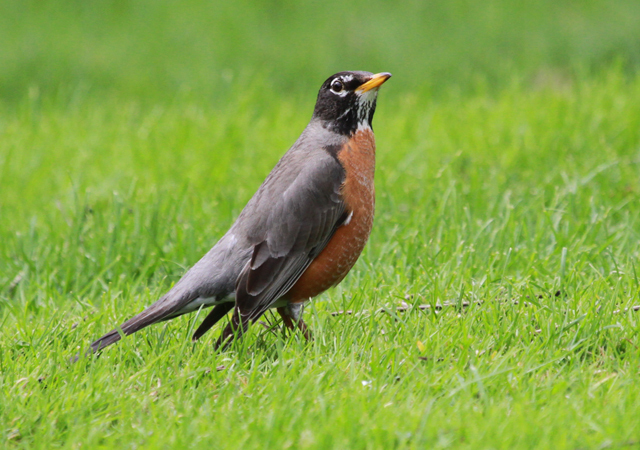 Robins are one of the most widespread songbirds in the Western Hemisphere. 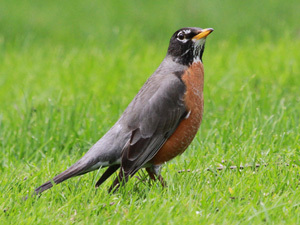 The robin is the state bird of Wisconsin, Michigan, and Connecticut.